Among all racehorses in Belmont Stakes Race, Justify is the top star nowadays. It is a big kahuna horse that has been skillfully ridden by Mike Smith and carefully trained by Bob Baffert. It’s famous for being undefeated, keeping its career record of 5 starts – 5 wins – 0 seconds – 0 thirds. There are many other racehorses, however, that made neighs in Belmont Stakes Race, as well. In no chronological order, the following are other racehorses that are justifying their potentials. against Justfiy’s title. After nine races with Kyle Frey as its jockey and Doug F. O'Neill as its trainer, Blended Citizen finally had a first-place finish at the 2018 Peter Pan Stakes at Belmont Park. He finished the run through drawing off handily in the final half-furlong, earning a 110 Equibase Speed Figure, which is the second-best of his career, in the 1 1/8-mile race. A manifested relationship for Belmont’s dirt track, constant Equibase Speed Figures, and a fitting stamina pedigree are the said reasons for Blended Citizen to be menaced as one of Justify’s challengers in Belmont Stakes. Bravazo might be one of Justify’s big opponents, especially with the guidance of its trainer, D. Wayne Lukas and its jockey, Luis Saez. Bravazo. Bravazo placed sixth in the Kentucky Derby and was known to be one of those 20-horse field’s biggest long shots. Not only that, but he also became the second placer in Baltimore for the Preakness. You might guess it right. Gronkowski is named after Rob Gronkowski, one of the New England Patriots Tight end. Gronkowski wasn’t able to join Kentucky Derby due to being infected. However, now he is restarting to train for Europe's Burradon Stakes with its trainer Chad C. Brown and is ready to take a dominant run again with his jockey, Jose Ortiz. kept on either setting or stalking the pace in his last five races until he won the Louisiana Derby on March 24, last year. Noble Indy is one of those underrated horses with great potentials that can place second after Justify or even take advantage of a normal performance by the favorite and pull off an upset win. Restoring Hope with its jockey, Florent Geroux finished 12th in the 5th of May Pat Day Mile, last year. Similar to its name, Restoring Hope is restoring hope for his trainer, Bob Baffert. Baffert has recently left anticipating comments about what will Justify face in competition with Restoring Hope. Tenfold became known to have auspicious talents after winning its first two starts at Oaklawn Park at the distance of 1 1/16 miles. Although just being fifth in the Arkansas Derby, Tenfold will sooner or later hit the top with Victor Espinoza, a three-time Preakness winner, as its jockey. 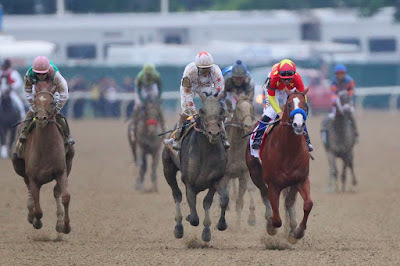 After which, it came back a longshot Preakness Stakes competitor and rallied impressively through the stretch to finish third, with only three-quarters of a length behind Justify. Continuing this and with the help of its trainer Steve Asmussen, Tenfold might be at the top of the Belmont Stakes stretch. Although Vino Rosso barely reached the top in many of his races specifically for the Wood Memorial Stakes by NYRA Bet, still it performed with a sharp three-length win to qualify for the Kentucky Derby. In fact, Vino Rosso raced wide throughout in the Derby with John Velazquez as its jockey and Todd Pletcher as its trainer. It was never been contended until it continued on through the stretch to finish ninth. It’s one of those horses with a potential to post an upset win. 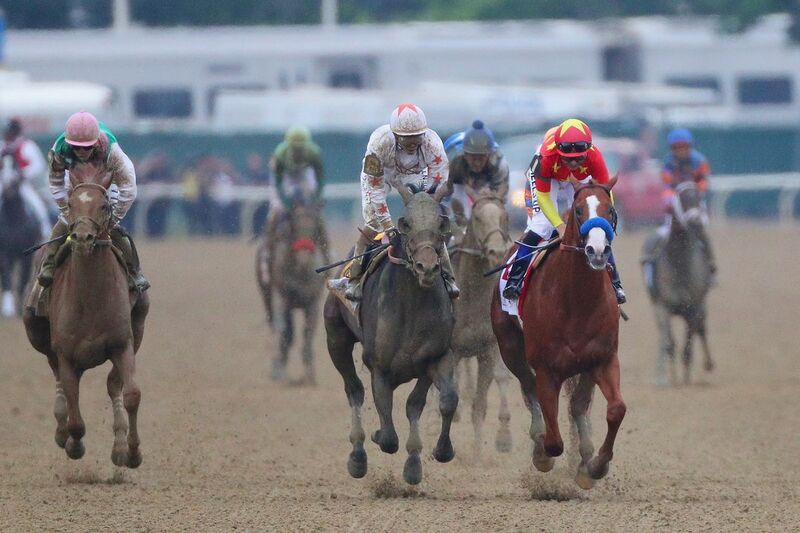 Currently, Justify has a dominant history of Preakness Stakes victory which can be found in any sports tv sites like the ones in https://www.tvg.com/promos/kentucky-derby/.There has been no horse that had come within 2 ½ lengths of Justify in Preakness Stakes yet. In addition, he has been speculated to have a great opportunity to become the 13th Triple Crown winner in United States Thoroughbred racing. That’s why winning against Justify would be really a hit.